We all know the score. Some call us lonely figures in the landscape, some call us isolated individuals and some call us...well, many other names. 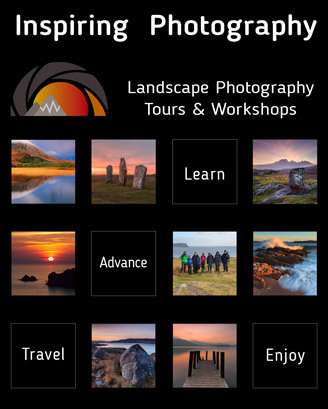 Of course I am talking about landscape photographers. That strange breed of people that stand and wait, and wait, and wait, for that extra special moment to happen. However, how many times it has happen to you while waiting? I am talking about a weather change, a slight drizzle, a passing by snow cloud. They do mess with your equipment and lets face it, no one wants their equipment to get wet. So, you have to take everything off the tripod, put them back in the camera bag and when its all gone, set up your gear again and...wait. Here is the thing. Why not just cover your gear and let it be protected from the elements? Yes, I know, there are plenty of covers in the market for this but they don't come cheap and some of them are difficult to use. Why not use something more simple, something that will hardly occupy any space in your camera bag and something that costs...well, nothing. It is of course the notorious shower cap, the one you find in almost every b&b or hotel. Any time you re staying away from home, take it from the bathroom and put it in your bag. And if you want to be really posh, buy one for just a few $$$. You can buy a whole box of "shower caps" in your local grocery next to the sandwich bags and shrink wrap. The hoi polloi use them over bowls and plates in their refrigerators. The other option is a vileda cloth / chamois leather. Makes for good padding and can easily be draped over a camera to keep rain off *and* can be wrung out to dry easily afterwards.